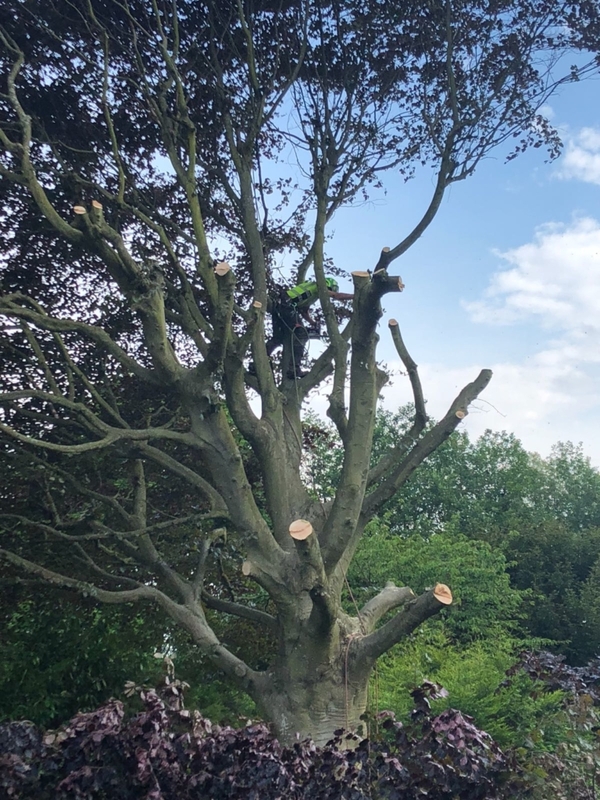 Let our NPTC-qualified arborists in Wallington help look after your trees! 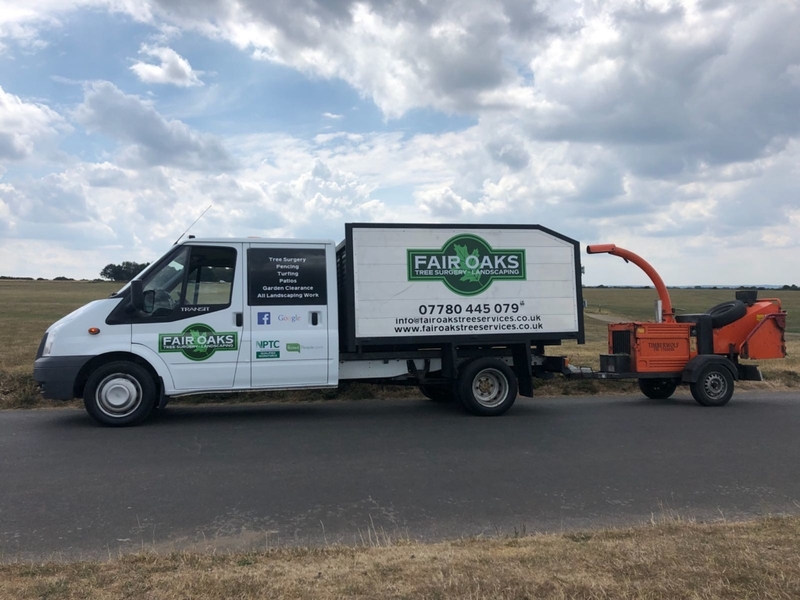 Here at Fair Oaks Tree Services, we are team of highly skilled tree surgeons, who provide affordable, professional and top-quality tree services to domestic and commercial clients throughout Wallington, Waddon and the surrounding areas. 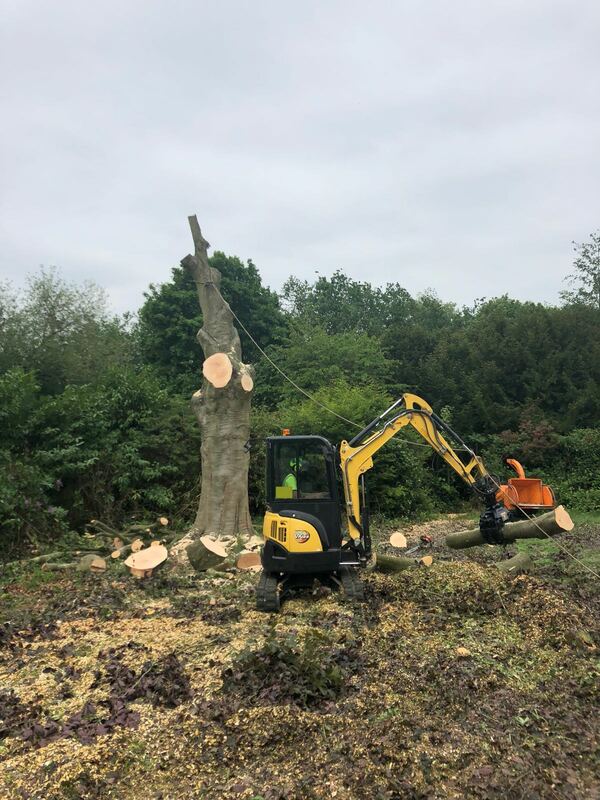 We offer a wide range arboriculture services, from tree felling, crown reductions and tree pruning, to tree stump removals and hedge cutting. We offer a complete service, from garden design, through to construction and maintenance and take on projects of all shapes and sizes! 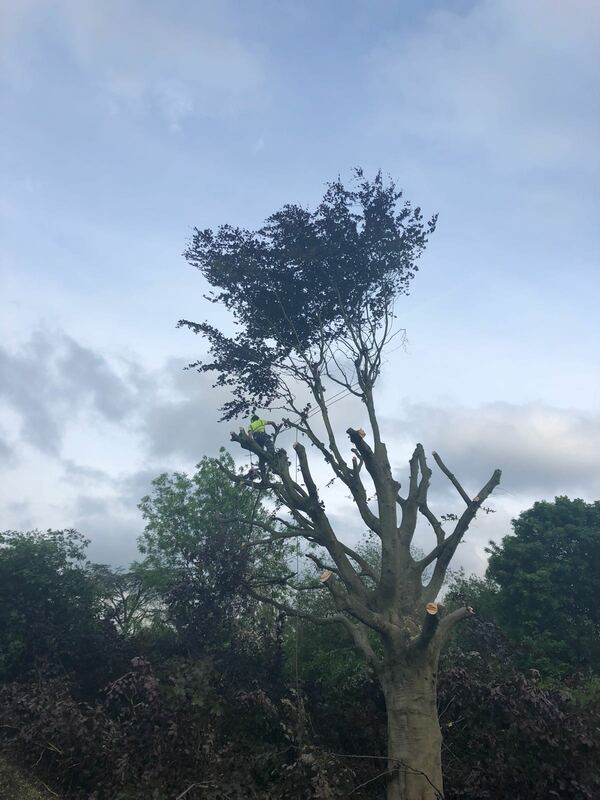 Our team are fully qualified, with vast experience working in all aspects of tree surgery, achieving the highest possible standard for our clients. 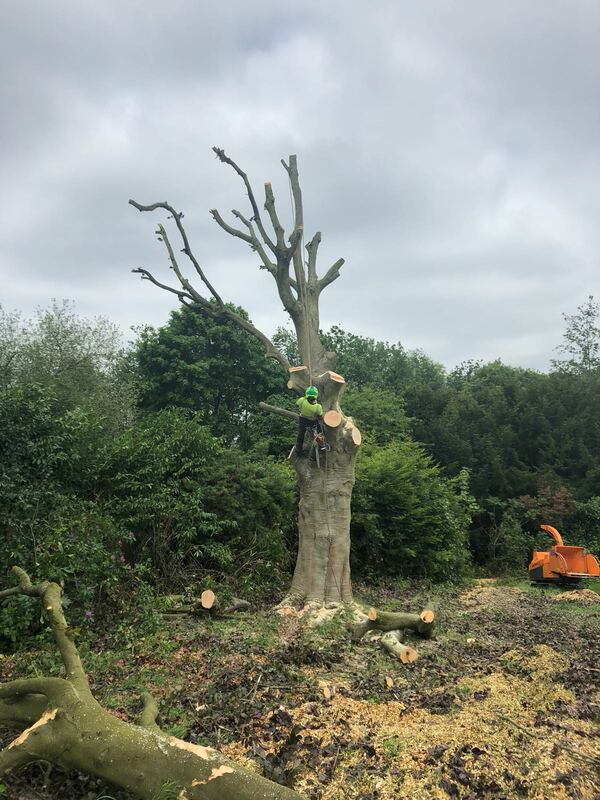 We can always advise about how to best to care for trees, so they can be given the care and attention they need to help them grow and reach their full potential in the space they have. We have public liability insurance up to £5million. 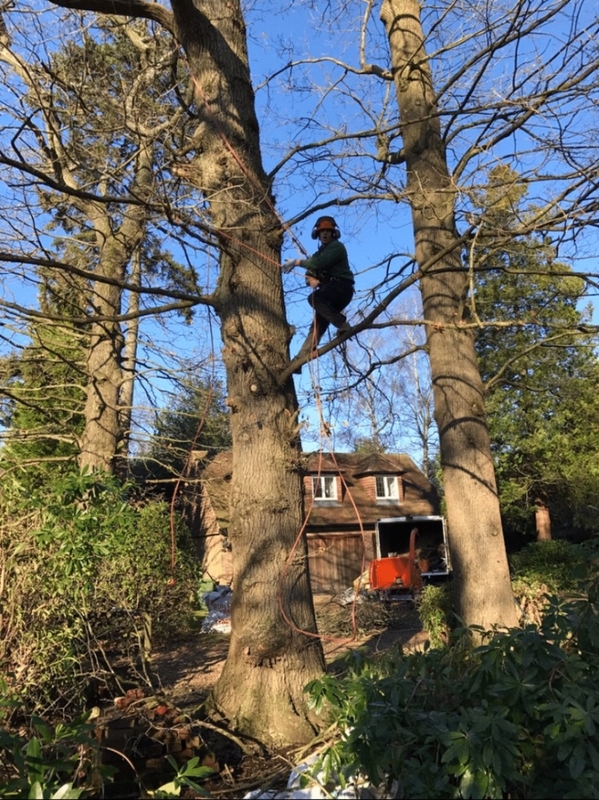 Our experts will always complete a full risk assessment for your trees and foliage before completing any work. We also provide emergency cover, 365 days a year. To learn more about any of our services, please call us now on 07780 445079. 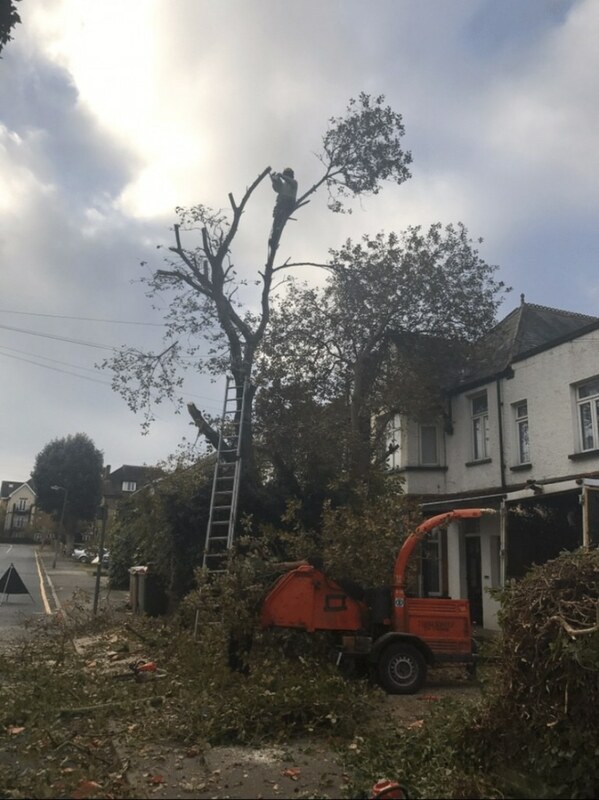 Why use our tree services in Wallington, Surrey? We know how important it is to have a beautiful outdoor space, where trees and plants are well looked after. 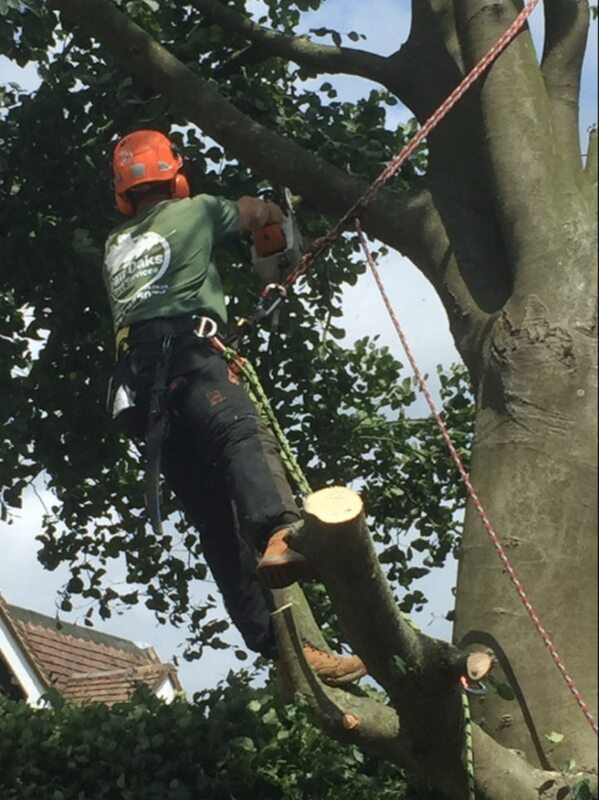 That’s why out team of arborists are committed to delivering the highest standards of tree work. 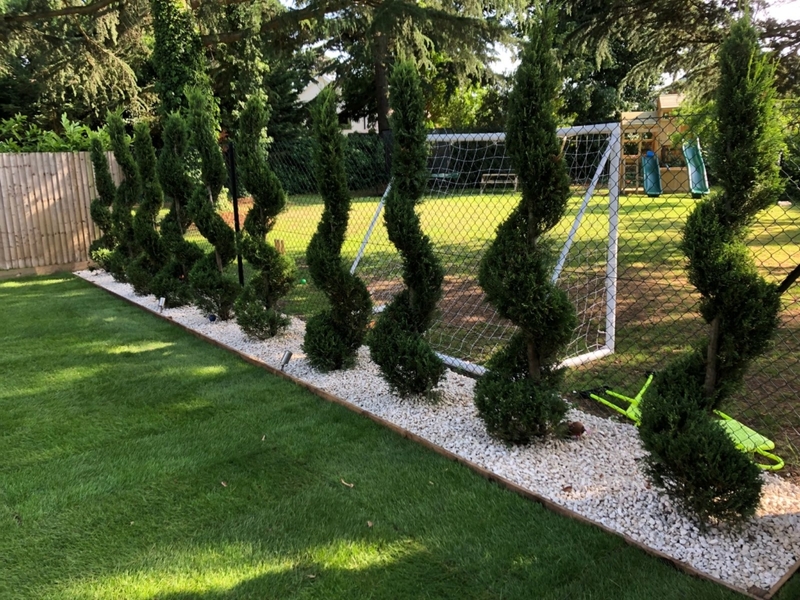 Alongside our tree services we also offer turfing and law laying, garden and landscape design, fence and patio installation, garden maintenance and clearances and more. 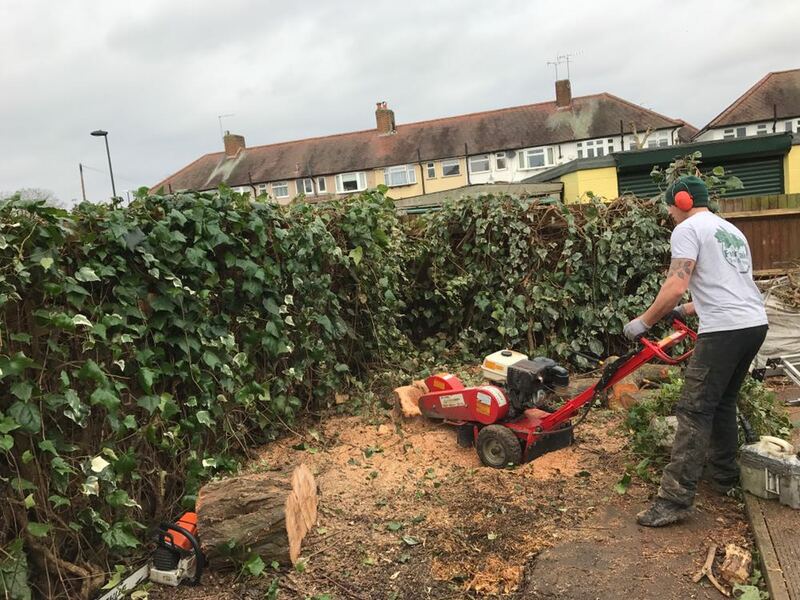 All our services are tailored exactly to your needs and we work throughout the local area – we provide landscaping services in Worcester Park, for example. We’re always punctual, efficient and experienced and we welcome jobs of all sizes. 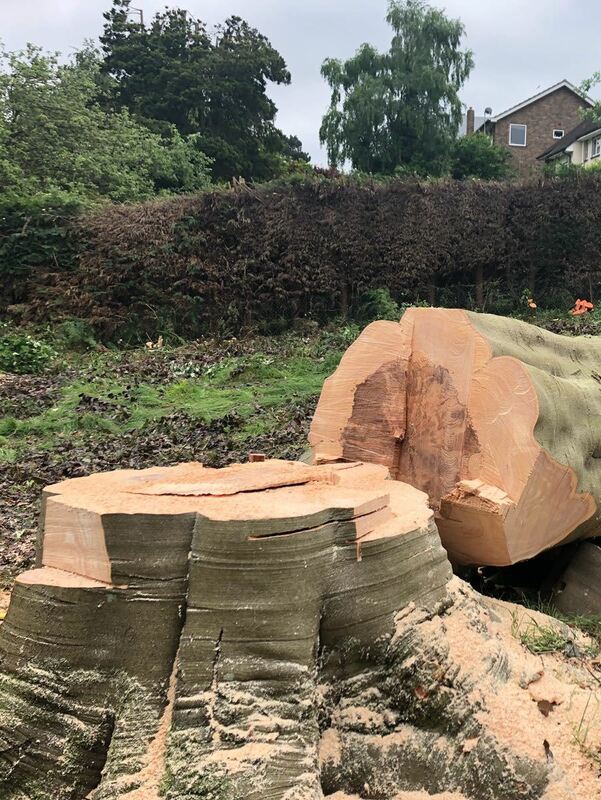 The stump of the tree is the part that remains once the tree has been felled. It can obstruct any type of new development, it can look unsightly or be a hazard and it may also try to regenerate. Tree stumps are also renowned for being breeding ground for fungus and bacteria. 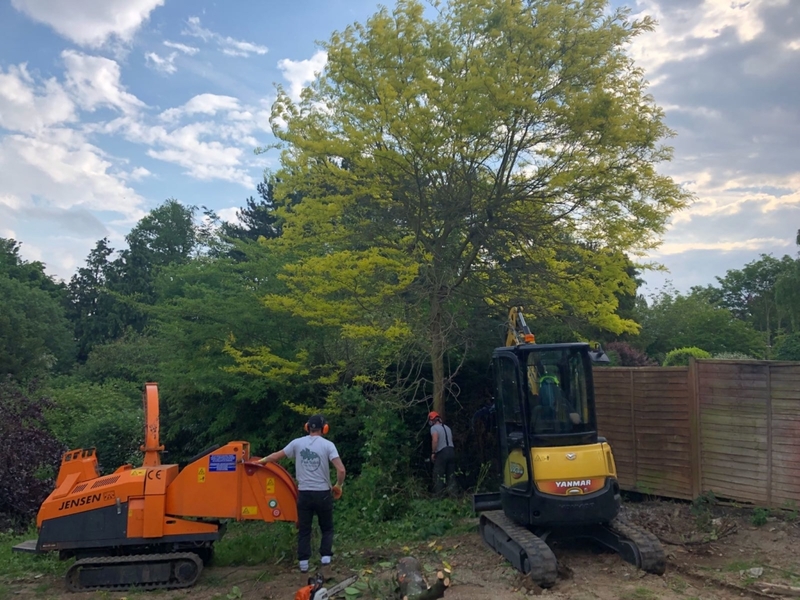 Therefore, it is necessary to remove the stump to avoid regrowth and to clear the area for planting new trees or for turning or constructing a new building. We have up-to-date equipment, meaning that our stump grinding service is quick and easy. We can offer two methods of extraction: The first is s chemical treatment and herbicide, which will cause he stump to degrade and decompose naturally. The other is stump grinding, which uses are rotating power tool to chip away at the stump. After the stump has been removed, the wood chips and sawdust can be used to fill in the resulting hole. Do you need crown reduction in Wallington? This is a common procedure to reduce the overall size of the crown at the top of the tree. This process can improve the appearance of the tree, prolong the life the tree and allow more light to shine through the canopy. We often complete this job when light is being blocked from a home. Contact us for a quotation on 07780 445079. Alternatively we can be reached via email at info@fairoakservices.co.uk or fill in an online enquiry form and we will be in touch.